I’m sitting in a train to Shanghai and finalizing a presentation about shoes. During the past few days I’ve been working for Smile & Shine company to develop shoe cleaning. Smile & Shine is a company that rent out machines to the office buildings and hotels, where you stick in your shoe, press the button and it comes out nice and shiny. The idea is, that the company also takes care of the maintenance, so that the machines can actually be used without risk of shoes getting damaged. In the spirit of Aalto, we gathered a multi-disciplinary team, lots of post-it’s to our beloved restaurant car and started to brainstorm new features and potential customer segments. One of the key questions was, what else people could do while spending a minute on polishing their shoes? Maybe a screen in the machine with advertisements? The workshop was fruitful, as we had interesting discussions and drew some really awesome pictures of the shoe polishing machines from the future. Maybe someday those will turn into reality ? Case eReader started 16.5 with a presentation about the motives of the case. What are we trying to find out and how we are going to utilize user driven open innovation when collecting the experiences and new ideas of the users considering eReaders. The starting presentation was held in the private train’s conference car by Miikka Tölö and Ville Purontaus. Real users, their new ideas and interesting environment to develop eReader devices were the most important thing in this case. 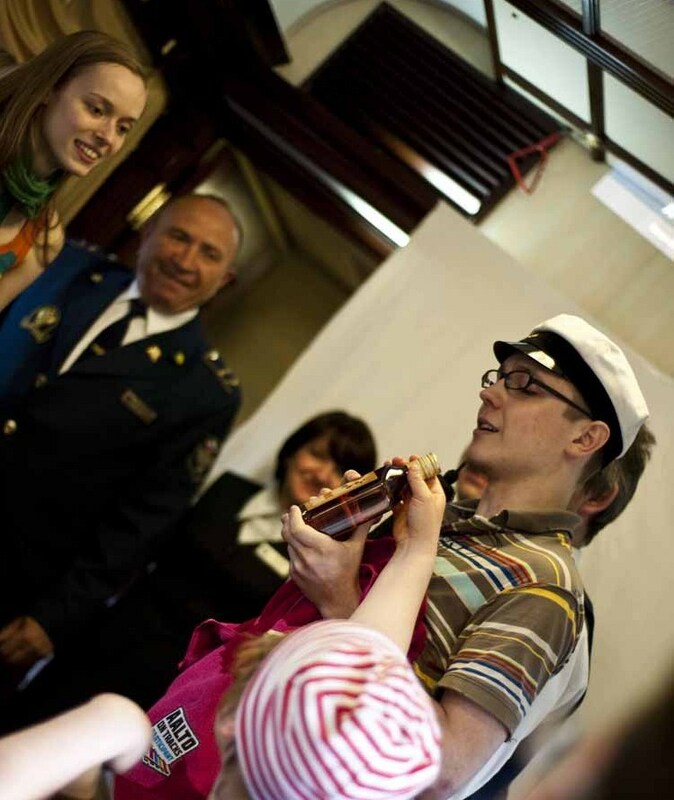 For example media houses in Finland have interests of the new ideas innovated during the train trip. The basic idea of the case was to find out new ways to use eReader devices and innovate new content in them. This innovation process is done by the people in the train. The people in the train are from different backgrounds and have different kind of lifestyles and interests. These are reasons why we used Living Lab concept in the train to find out the ideas made by the real life users. The whole train was a ”Living Lab” where every person in the train was possible innovator for the eReaders. 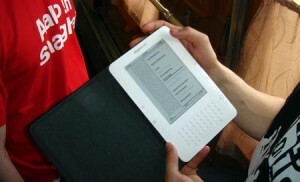 People could lent the eReader devices in the train and use them freely. We had an innovation wall where users could add their ideas with post it-papers fast. This made possible others to see what kind of ideas is there and can these ideas be developed even further or can there be a different kind of approach. We also had a question form and interviews about the user experiences. Free discussions played a major role when innovating in a group. Doing case eReader while traveling through the Russia and Mongolia in a private train gave unbelievable circumstances to find new ways to develop and innovate. I actually can’t imagine right now better group of people, circumstances and team spirit what we had there in the private train to develop new possibilities to make eReaders something totally new. We don’t want to tell the new innovations here yet but we’re sure that they’re going to bring eReaders closer to everyone and making the eReader experience better in the future! We’ve been in the train for almost a week now. Yesterday morning we had a longer stop, in the capital city of Mongolia, Ulaanbaatar. Although we got up early, we woke up to a very beautiful and sunny day. In the morning, we had great breakfast after which we continued to the Unkknown Russian Soldier monument to discuss more about Mongolian life, history, and culture. Our guides were around the same age as we were and spoke perfect English, were very polite, and incredibly insightful about their own country. We split up after the waar monumnet as most of the people went straight to the National Park. 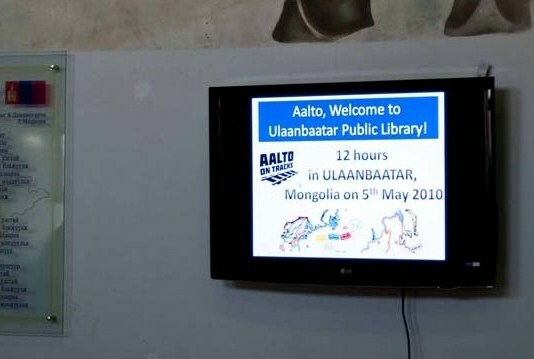 The rest of us had a visit to the Ulanbataar Public Library. The library IT manager Begzsuren Jamsranjav and others hosted us in the library. They had really prepared the meeting for us by putting some Finnish stuff on the walls and making special presentation for us. You can have a look at the libraries Twitter account. 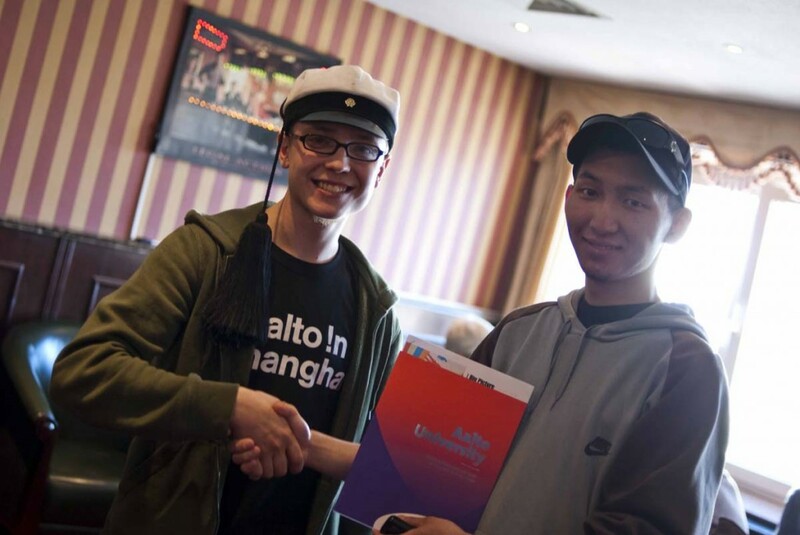 One of our guide was interested in to study at Aalto because of free education. After the traffic jam, we finally arrived at the National Park, where the rest of our group was. We had a visit in traditionals yurt houses, met the locals, and had a chance to ride camels and horses. They had also prepared an amazing lunch with Mongolian lamb and dumplings set against some amazing scenery. After lunch, we returned to the station to catch our train. We thanked our guides and gave away some of the spare food we had for some of the charity projects the guides had going on. Although the participants very much enjoyed our time and experiences in Mongolia, we had to experience the most tragic event that unfortunately does happen on the Trans-Siberian railway. As we left Ulaanbaatar, our train struck a man on the track, killing him on impact. 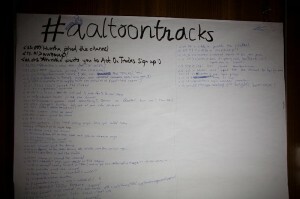 This event sparked a number of reactions and emotions from the participants of Aalto on Tracks. While no one could prevent the accident, we discussed and listened to many different responses and self-reflections we each had regarding the tragic event. Moreover, we ensured participants had the proper support to cope with the situation if needed. Nonetheless, we’re looking ahead to the journey and we are excited to cross the Chinese border tomorrow. Before arriving, we are having our last culture and language classes on the train to prepare for the new country. 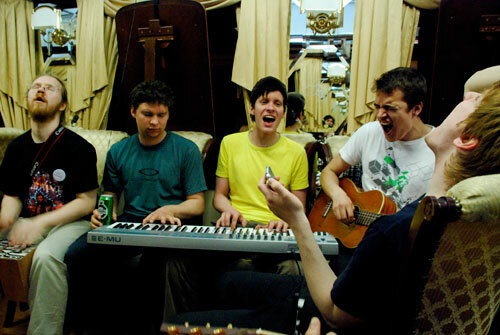 We are very sad that we are leaving the private train that has become a home for all of us. We will miss the staff who have been so great to us. Beijing and Shanghai are now awaiting us! Greets from the Gobi Desert! Early birds had chance to see the frozen Lake Baikal early Wednesday morning. The train followed the shoreline for a couple hours. There was still plenty of ice on the lake and it was surrounded by snow covered mountains. Given any chance some of us would have loved to have a dip in the water, but that was not possible due to the train schedule. Nevertheless, some people think this has been the highlight of the trip so far. Our days on the train are filled with interesting activities. We have gathered to discuss and attended workshops about new product development, recruitment, communications, and internationalization of Aalto University to name just a few. We have also been testing different eReaders along the way and designing new campus solutions for Aalto University. In the case provided by Outotec, recruitment was discussed. “It is important that not only the active ones get a job, but that the right person is hired into right position”, participants argued. New online recruitment service was suggested where students could update their profile and what would include extensive information about e.g. studies and student’s future plans concerning his/hers career. Companies could take part into the development process of the service. “This could be accomplished as an Aalto project sponsored by several companies”, students said. Students have completed questionnaires about internationalization at Aalto University and are having small group discussions to discuss their experiences and opinions about internationalization. Language used and language competence at Aalto are two big related issues but not the final answer to internationalization. The concept of internationalization can be defined in many ways, and participants on the train too have different understandings of what it is or should be. There is general agreement that Aalto should be more ‘international’ by any definition. And for most people here on the train it means more foreign students and staff on campus, involved in our everyday activities. More study exchange opportunities are desired and some even want a period of study abroad to be an expected part of all degree programs at Aalto. The discussions are continuing. One of the aspects of the train trip that participants weren’t expecting was that we would lose an hour every day as we changed time zones. The time that doesn’t exist on the train is 8:30 – 9:30pm, right after we are done eating dinner. This was quite troubling for me, because I quite like 8:30 – 9:30pm, it is a time to be social, relax, and start having fun. But going straight to 9:30 after lunch makes us robbed of one of the most important parts of the day. For instance, there would have been a possibility for me to get into a deep conversation with another one of the participants at 8:47pm, which might not be possible at 9:47pm. Moreover, when we are all having a good time, it gets later much quicker. However, there is a solution to this problem. We just need to be innovative and creative with the time. Nothing about this trip has conformed to societal norms (seriously, what group of students rent a train from Helsinki to Shanghai) so we decided that we will make up our own Aalto on Tracks time zone, and 8:30 – 9:30pm will play a central role in the Aalto on Track time zone. In fact, at our sitsit party tonight, we will be commemorating 8:30 – 9:30pm with a song or two. We may even decide that is should be 8:30 – 9:30pm for the rest of the night. If we can develop ideas about how society should work better, why not develop ideas that make time better too? We had our TEDx event in Siberia on the train! Stay tuned, we’ll be posting people’s feelings and comments very soon! Short stop somewhere. Reino shoes rock! Second day and lot of work done on the private train! The day was started with breakfast 8 am. Our cruise mother Saara and Santeri hosted the morning meeting for everybody in conference car. Together with Riikka they form the trio to keep people informed about the program during lunch and dinner. We went quickly through the program of the week and upcoming activities. In afternoon, Kalevi started with Design Emotions workshop. Idea was to design a product (by drawing or making a prototype) based on certain criterias. For example, we had a task with Saara to design a shoe shiner machine with two attributes: 1) made for women 2) environment friendly. You can see the result here. Amazingly creative and outside of the box workshop. Also the eReader case was started by Miikka and Ville. Workshop arrangers have four different kind of eReader devices on board which people can lend and test. Heikki started project management case by introducing the material to read beforehand. After reading people are discussing differencies between Western and Chinese in project management. The case also includes an excursion in Shanghai hosted by Chinese expo organizers. On late afternoon we thanked the train captain Viktor and other personnel for the great service and help. On our behalf, we now also hope to get some understanding for the sitsi party we are going to have tomorrow. The last official program was TEDx hosted by Olli Laine, Juhani Polkko and rest of the team. The presentations were amazing! It was very mind-opening to hear presentations from Travelling to Body modifications and Terahertz devices. Phew, this was just grasp of the program today. In addition to these sport activities fox example have been quite popular. 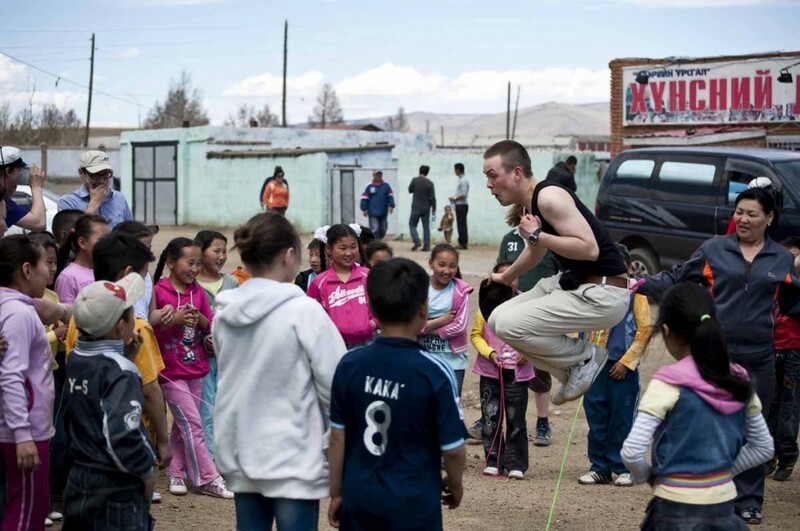 There has been circuit training, yoga and diabolo training for example. It’s difficult to keep track of every program. After dinner late evening there was random free time activities like band playing and singing + unofficial farewell party of Kalevi (he is already leaving in Novosibirsk). So far this trip has been the most awesome one ever, and it keeps getting better and better, as we are continuously improving, decorating and tweaking the traing. One thing we are missing is proper internet connection and all the social services online. To compensate that, we have started to build the essential parts of the Internet inside the train, such as The Facewall. At the eastern part of the train, there’s one car with a wall covered with profile pictures of everyone. The idea is, that people can use post-it’s to update their statuses, comment on others and so on. It’s a great way to share feelings and express oneself: coming up with new features and ways to use it is strongly encouraged. One emerging phenomenon has been fan- and group pages, which are sheets of paper attached on the wall, where users can then join with good old post-it’s. For example our wonderful train personnel already has almost ten fans and there’s a group for those who hate the fact that they’re not allowed to use toilets during the stops. The usage is already quite active and I’m eagerly waiting to see, what it’s going to be like after two more days. We might have to expand the capacity by opening a second wall on another car, if the growth keeps at the same pace. Now we’re just waiting for an acquisition offer from the Facebook-people. Apparently you can do quite a lot with just pieces of paper, post-it’s and a group of crazy people. 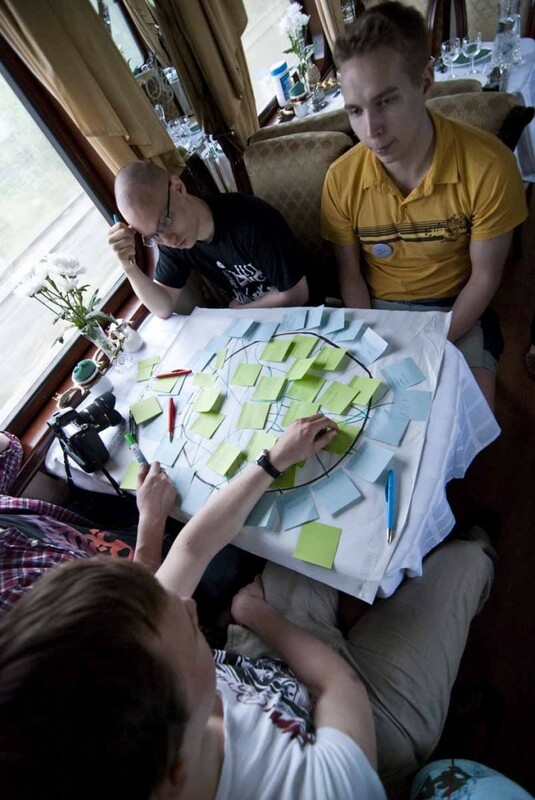 With the train full of innovators, geeks and communication enthusiasts, there’s nowhere to hide – not even in Siberia. The environment is pretty hostile, as our external communications rely on GSM/EDGE/3G network and we don’t have a satellite phone with us. The data network coverage is good enough only within the cities and the data costs are quite high, so constant IRC-chatting(*), Facebooking or Twittering are not viable options. If you like, you can find our position on a map though a stand-alone GPS transponder. That’s basically a small, orange box taped on a window facing south. It receives our location and sends it back through a communications satellite, and the locations are then plotted on Google Maps. We also use a new “voice microblogging” service called Talky, which allows us to post short messages on the website with a phone call – it doesn’t require data network. Talky helps us to be more connected, but still requires us to have GSM connection, which is not available everywhere along the tracks, although a satellite phone would solve that as well. However, using Talky is a fun experiment, and everyone in the world can actually hear voices from the train in real time (good and bad).